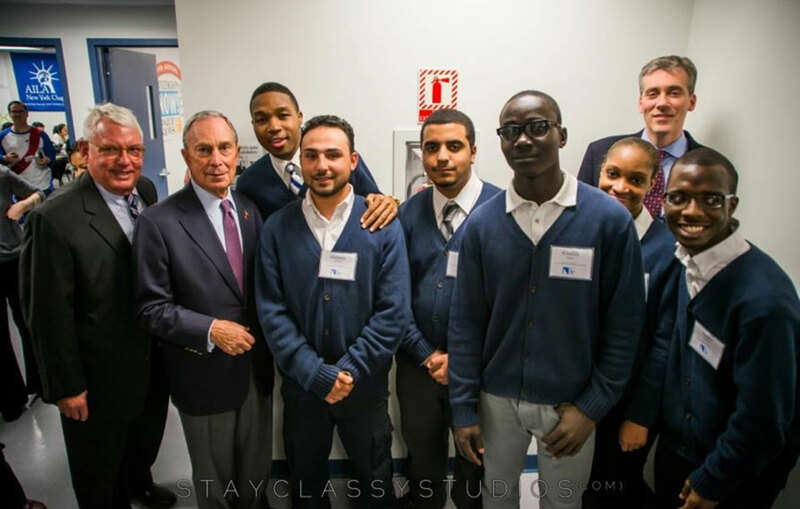 In September 2012, The New Community College at CUNY opened its doors to its inaugural cohort of students. 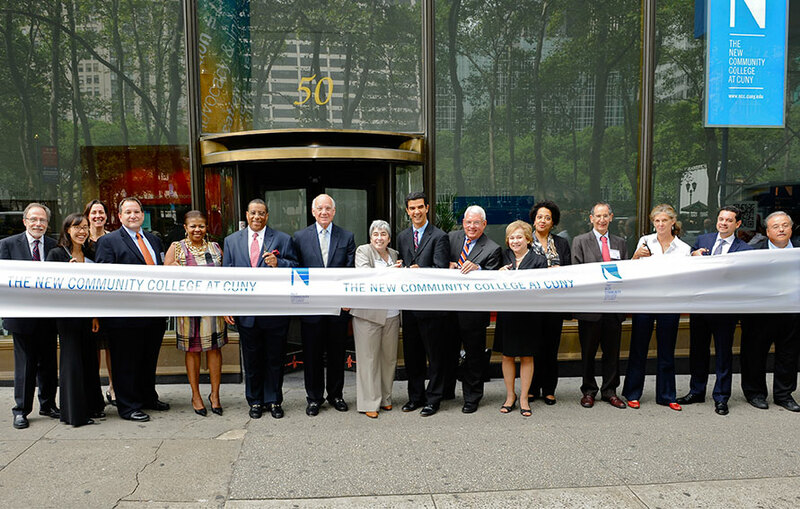 It was CUNY’s first new community college in more than forty years. About five years earlier, Chancellor Matthew Goldstein had issued a challenge to a CUNY-wide planning committee: imagine a new community college that will create a research-based innovative academic program geared to moving students quickly and efficiently towards graduation. With average three-year graduation rates at public urban community colleges at 15%, it was time for CUNY to be bold and creative. In June 2013, the College was renamed Stella and Charles Guttman Community College to honor a $25 million gift the Guttman Foundation gave to CUNY. The Guttman Foundation wanted $15 million of the $25 million gift dedicated to an endowment fund for the College. From this endowment, the College has been able to create a host of programs that provide transformative learning experiences for our students. 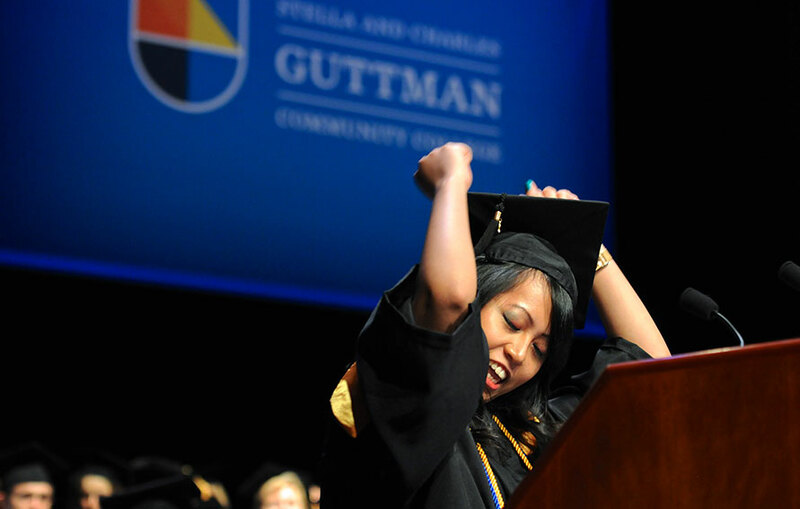 It is remarkable but not surprising, given how student-centered the College is, that in just seven years Guttman has been ranked the #1 community college in New York State! The College’s high graduation rate (43% three-year graduation rate for the 2015 entering cohort) testifies to the success of its innovative academic model and to the dedication of its faculty and staff to student success. Learn more about the development of the college by reading the New Community College Concept Paper, the case study Rethinking Community College for the 21st Century and other college planning documents from 2008-2010. Click on image to open large version in new window. February 2008: CUNY Chancellor Matthew Goldstein initiates a process to develop a model for a new CUNY community college. Senior University Dean for Academic Affairs John Mogulescu and Project Director Tracy Meade lead a visionary group to develop ideas for a new approach to associate degree higher education based on research and best practices. August-September 2008: A New Community College Concept Paper is published, laying the foundation for the future college. First Advisory meeting of national experts is held. January-March 2009: The New Community College Initiative establishes a planning team and forms working committees to develop majors and to implement the educational model and other key aspects of the college. March 2009: Bill & Melinda Gates Foundation provides funds for planning the New Community College Initiative. September 2009: The Carnegie Corporation of New York provides a 12-month grant to the New Community College Initiative. August 2010: Letter of Intent for eight proposed programs of study at the College is circulated to CUNY. September 2010: The New Community College Initiative appoints its first faculty. November 2010: External review team visits. January 3, 2011: Founding President Scott E. Evenbeck joins the College. February 2011: Documentation presented and approved at the CUNY Board of Trustees meeting. Research Advisory Group convenes. 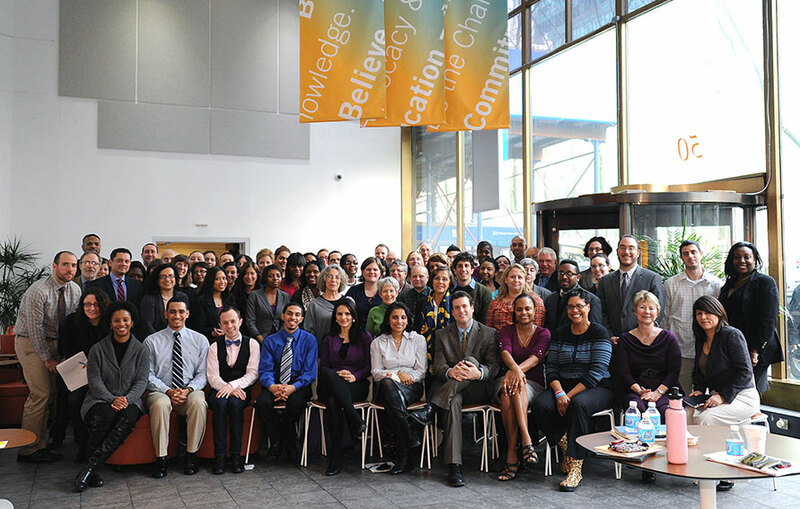 April 2011: The New Community College Initiative holds its first faculty and staff retreat. 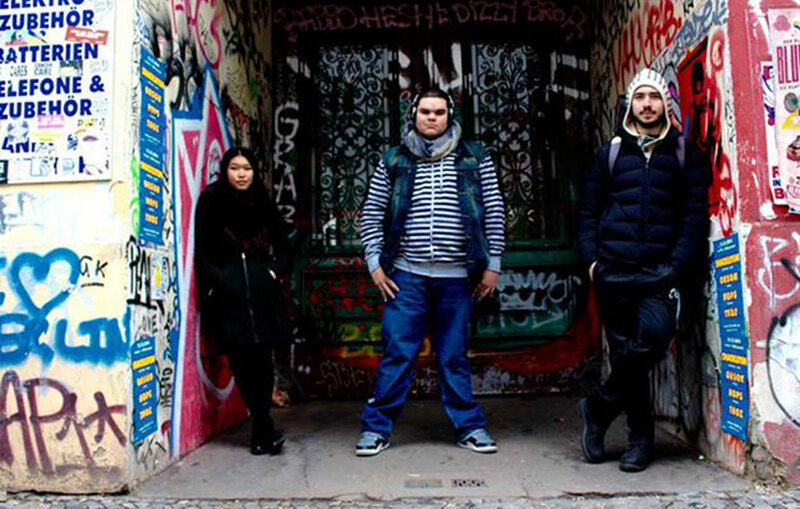 May 2011: The College establishes residency at 50 West 40th Street. June 21, 2011: The New York State Board of Regents approves the amendment to CUNY’s long-range master plan authorizing the establishment of The New Community College at CUNY. September 20, 2011: Governor Andrew M. Cuomo approves an Amendment to CUNY’s Master Plan for The New Community College. June 2012: CUNY Board of Trustees approves an interim governance plan for the College. 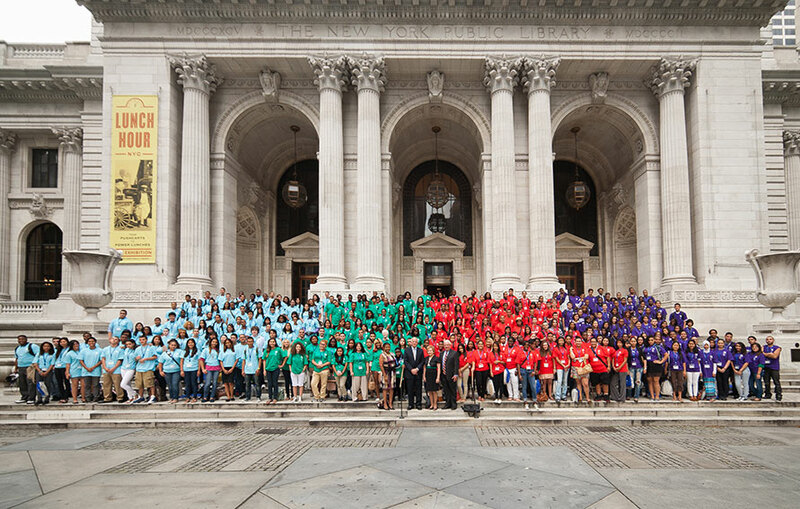 August 20, 2012: The New Community College officially opens with an inaugural class of 300 students at a Convocation held at the New York Public Library’s main branch. The first Summer Bridge Program begins. New York State Department of Education holds its first site visit. October 2012: The College Council holds its inaugural meeting. The first Student Government Association (SGA) elections are held. December 11, 2012: The New York State Board of Regents votes to grant accreditation to The New Community College for a period of five years with a written report due after three years. February 2013: Rethinking Community College for the 21st Century case study of the college is published with support from the Bill & Melinda Gates Foundation. March 19, 2013: The Student Government Association (SGA) Constitution is ratified. April 29, 2013: In honor of the $15 million endowment gift to The New Community College, the CUNY Board of Trustees passes a resolution to rename the College Stella and Charles Guttman Community College. 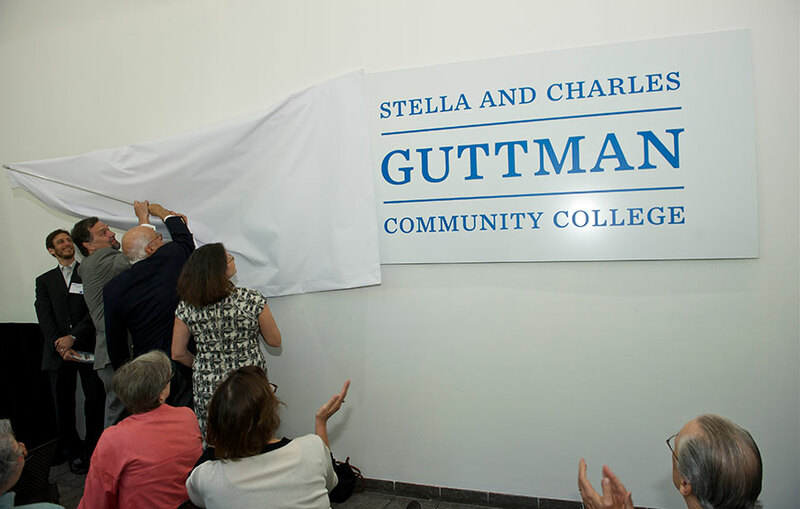 June 18, 2013: A celebration of the naming of Stella and Charles Guttman Community College. January 16, 2014: The College opens its two new science labs. May 2014: The College publishes its first Strategic Plan (2014-2017). June 19, 2014: The chartering of the Phi Theta Kappa Honor Society’s chapter at Guttman—Beta Phi Gamma–and student induction ceremony. June 20, 2014: Guttman submits its application to the Middle States Commission on Higher Education with a final Accreditation Readiness Report. August 27, 2014: The College celebrates its inaugural commencement, graduating 80 students from its first cohort. 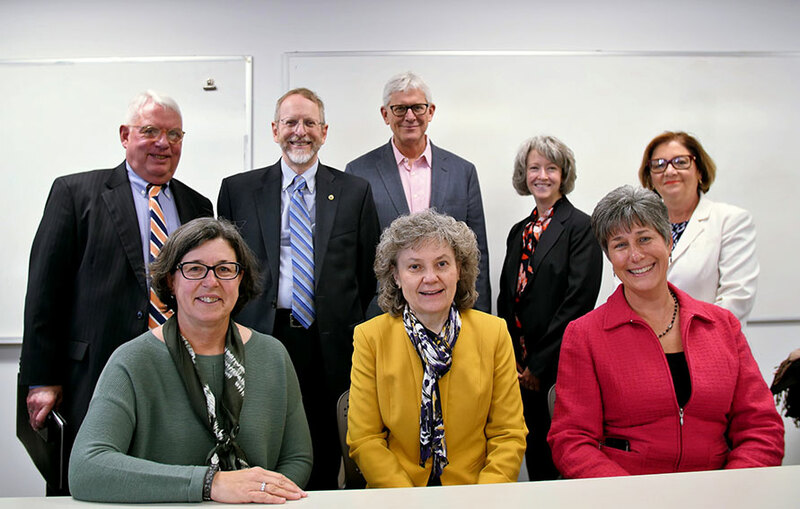 November 21, 2014: The Middle States Commission votes to accept the College’s Accreditation Readiness Report and to note the visit by the Commission’s representatives, grant Candidate for Accreditation status, and to invite the College to initiate self-study in preparation for an evaluation visit in 2016-2017. June 17, 2015: College holds second commencement, conferring 146 associate degrees. January 2016: Three additional students from the inaugural class earn an associate degree, bringing the graduation rate for the 2012 cohort to over 50%. February-March 2016: College holds its first Winter Bridge program and matriculates its first class for the spring semester. June 23, 2016: The College holds its third commencement, conferring 134 associate degrees. June 19, 2017: College holds its fourth commencement. June 22, 2017: Middle States grants accreditation to the College. Guttman’s new Governance Plan is effective as of February 1, 2018. First meeting of College Council held under new Governance Plan.